This archive holds all posts form January 29, 2009. 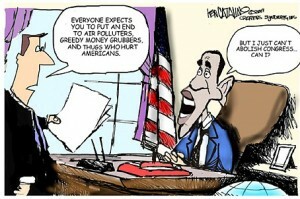 An unnerving number of North America’s political cartoonists are bizarrely obsessed with President Obama’s lips. . . . If you don’t believe me, scan dozens of current political cartoons. For every Steve Benson or Mike Luckovich who is zeroing in on a swell, spot-on Obama, there seems to be a cartoonist who invokes “caricature” in the most grotesque sense of the word. Obama’s lips have been rendered in such unnatural tints, and at such dimensions. . . . And of course, this physical area of caricature — unlike, say, Obama’s ears — comes freighted with a legacy of ugly racism and cruel, blackface-era mockery. He later asks if he is making too much of this trend among cartoonists. 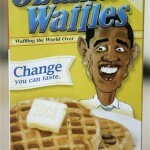 And remember the big lips on the Obama Waffles racist box satire stuff? Some whites are arguing these classical caricatures are really harmless and not racist. That just shows their ignorance of US history. Anyone who has paid much attention to the many 1000s of racist cartoons and caricatures of black Americans over the last century knows that big lips are part of the standard racist caricature in the white racial framing of black Americans. They have been since at least the 1830s. Whites seem to want to make black folks have especially big physical features, even to an absurb level. Is this some kind of “physical envy”? And racist images, to paraphrase the cliche, are worth a thousand words in communicating that very old white racist frame. Cartoonists were doing this racist stuff long before photographs and such appeared in the media, for centuries now. 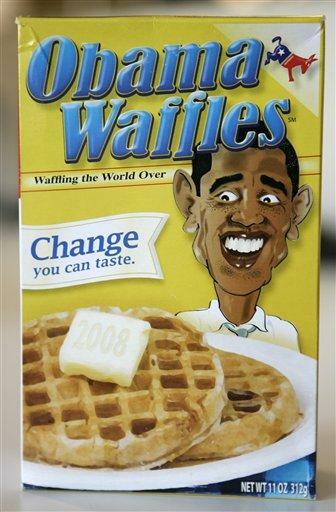 Even rather thin-lipped folks like President Obama suddenly get thick lips because they are black. After the big lips, what? Over the next 4-8 years, are we going to see our President caricatured with chicken and watermelon on his plate? Then what, Michelle Obama as a mammy? Welcome to the post-racial America, indeed.